There was a minor debate on Twitter last week regarding game—the things that a man does to win over a woman. On one side, there were the people who felt that game is unnecessary. They argued that game could lead you to put up a false front. It might be a good strategy to get a girl into bed, but it wasn’t a good strategy if you were looking for a long-term relationship. On the other side, there were men who thought that game was absolutely necessary for any modern man. So which is it? Do you need to learn game? And if so, how much game do you need? I take a middle position. In this article, I will discuss the bare minimum amount of game that you need. Before I start off, I need to make it clear that I am not writing for men who aspire to be pick up artists (PUA). The goal of a PUA is to meet a girl and get into her pants as quickly as possible. If you want to be a PUA, you’ll probably need to learn a lot of technique. There are numerous books, videos, and courses out there that can help you in your quest. 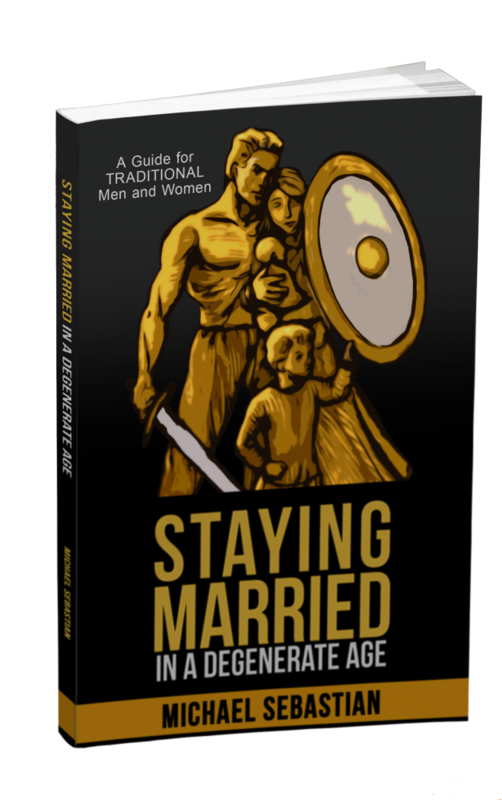 This article is geared towards men who want to meet a woman for a long-term relationships, but a lot of these basics would apply even when looking for a short-term fling. Don’t pine. This was my biggest problem in high school and even a little bit into college. I would develop a crush on a girl and then try to get to know her to ask her out. But my romantic feelings made me nervous and awkward around the girl and always ended in failure. When the girl rejected me, I tried harder to get close to the girl. This, in turn, caused the girl to avoid me. Massive fail. Girls can sense if you have developed puppy love and they will look down on you because it. It gives the girl power over you. She may even try to exploit your affection by asking you to do favors for her. To prevent pining, make it a habit to be friendly with all the girls you meet—the gorgeous ones and the less than attractive ones. This will give you a large field of “potentials.” If one catches your eye, ask her out. If she rejects you, move on without a pause. Don’t try to “win her over.” Just smile and move on like nothing has happened. Don’t white knight and enter the friendzone. I had a close friend who had a recurring pattern. He would fixate on a really cute girl—he always picked girls that looked painfully cute and innocent like anime characters. Next, he would become her friend and do terribly sweet things like staging a romantic dinner all under the pretense that he was being a wonderful friend. This would go on for months. He would do all kinds of favors for the girl—help her move, haul her around, do shopping for her—all in an attempt to win her romantic affection. Only, he would never tell her that was his intention. From the girl’s perspective, he was just a weird, ultra friendly guy. I tried to be encouraging and say, “yeah, I think you should ask her out,” but he never had enough confidence to do so. Inevitably, the girl would get creeped out, the friendship would end, and my friend would go into a funk for weeks. The reason my friend was going through this process was because he lacked self-confidence. He didn’t believe that a girl could like him as he was. Instead, he thought the only way he could win her was if he got to know her as a friend first. Then, he reasoned, she would fall in love with his wonderful personality. It never worked. The better approach is that if you are interested in a girl, ask her out right away. Don’t enter the friend zone and don’t white knight. Girls like real romance, but real romance is not becoming friends and then becoming lovers. That’s boring. Girls want the heart-pounding feelings that come with being swept off their feet. They want passion. Will you be rejected sometimes? Of course! All men get rejected. While I was younger, I had many more rejections than I had acceptances. When that happens, remember, smile and move on immediately. If you read websites dedicated to game, you’ll see text conversations where the man sends four or five messages for every one text that the girl sends. The man is tipping his hand that he really likes her—more than she likes him. This is the kiss of death when approaching a girl. Girls want to be pursued, but they don’t want to it from a desperate guy. They want their man to be aloof. Is that contradictory? Yeah, but who said women were logical. This is why it is so important to remain cool around women. Until you find the girl that you want to settle down with, your attitude should be that there is always another one coming around the corner. And even if she is the girl that you want to settle down with, never let a woman be your entire life. Other things to avoid early in a relationship: Sending flowers, poetry, frequent phone calls, cards, any cutesy crap. So much for the “don’ts.” What other game do you need? Reasonable looks. All other things being equal, the more handsome you are, the easier it will be to get women to respond positively. Now, there are limits to what we can do here. Not all of us were born looking like Tom Brady. Still, we all have to maximize what we do have. That means getting a good haircut, dressing well, and getting physically fit. If you don’t look like Mel Gibson in the original Mad Max, don’t use it as an excuse on to not pursue women. Famous PUA Nick Krauser is bald, shorter than average, and forty years old, yet he is successful in picking up women. Self-Confidence. Self-confidence is the sine qua non of picking up girls. I didn’t start developing loads of self-confidence until I was probably around 25 years old. It was kind of a quirk of my upbringing where I constantly underestimated myself. For me, it gradually started to realize that I did have some “game” in life. Of course, experience with women really helped shore up my confidence. Developing self-confidence merits an entire post of its own, but one thing that you can start doing immediately is becoming unstoppable. Develop your discipline. If you resolve to do something, do it. Don’t be soft on yourself. Living a disciplined life will help you to realize that you are a man of character. It will naturally affect your dealings with women. The other thing that you should be doing is talking to as many women as you can. This will put you at ease when you are chatting up that beautiful girl. And even if you don’t have tons of self-confidence, at least act like you do. Fake it till you make it. Sense of humor. The last must have is a sense of humor. You don’t have to be able to tell jokes, you just have to be light hearted and see the funny side of things. By the way, if you end up doing something stupid on a date, don’t apologize or worry about it. On my first date with my future wife, I planned poorly and got us stuck in the city during a parade. Instead of apologizing, I joked about it treated it as a goofy adventure. Now it is a funny memory for both of us. Seems like a pretty slim list of “must haves.” But with this short list, I eventually was able to pick up girls fairly easily. As I mentioned, it wasn’t immediately. I had several years of little success until I got rid of some of my bad habits. I was never good at a completely cold approach. I believe Krauser teaches how to approach girls on the street, but I think it is unnecessary. Clubs are usually lousy places to meet women. The music usually drowns out any conversation and women are usually with a pack of other people, which makes it difficult to cut in. However, there are situations where you have a captive audience, and you can easily talk with a girl long enough to ask her out. Using this approach, I’ve successfully asked out: a girl in a doctor’s waiting room, a girl who was selling me sunglasses, and an Australian ballerina on a sightseeing bus. All this before I was married, of course. The only thing you need to make this work is a situation where you will have the undivided attention of a woman for a few moments. If you say it with a smile, the worst thing you will get is a kind rejection. The bottom line is that you don’t need to spend lots of time and money learning things like “negs” and other esoteric techniques. If you do want some brushing up, you might want to peruse some of Troy Francis’ writing on Return of Kings. Troy writes mostly as a PUA, but much of the information can be used regardless of what your intentions are. This is all very good advice – I hope many young can find this. I tell them to chase their passions, find a purpose and fulfill your destiny and you will attract better quality women, and also remember that women are replaceable, they coma and go. your happiness comes first and a woman who is not interested in your happiness is very replaceable. I don’t know much about game, I look, I listen and then I make my move – I just go for it, I get rejected all the time – but that is because I put myself out there all the time – don’t lose an opportunity… but I am now looking for a wife and that is a different game all together… I have noticed that I am paying more attention to a woman’s behavior now – as the first rule on women is to judge them on their actions not on what they say, I pay attention to the company they keep, their dress, behavior in public, how they treat the elderly and children and other very little things that only matter to me…. but this is a very good post and I enjoy your site – keep up the good work. Yes, the interesting thing about women is that if you make them your goal, you’ll have little success but if you focus on your mission, you’ll instantly attract more of them. Also, good advice for men who are looking for a wife. You can tell a lot about a girl’s character, especially in the early stages before she really knows what you are looking for.